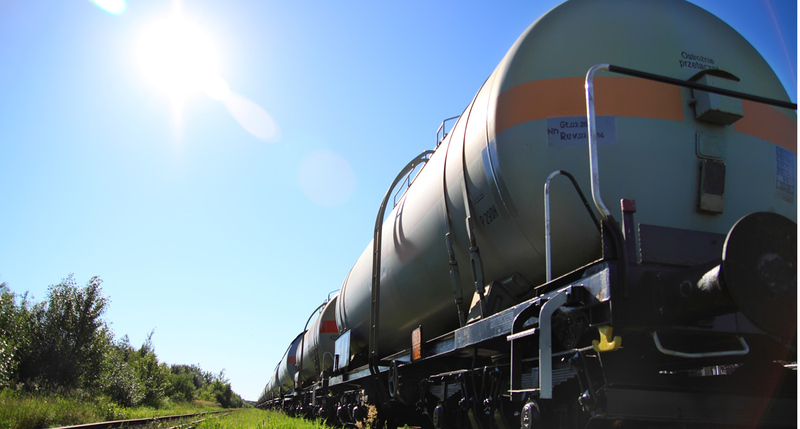 Your midstream enterprise has to be made of professionals familiar with all applications of oil & gas—from transportation, storage and marketing, to exploration, production and refinement. That’s why you deserve an executive search firm with deep industry knowledge and a dynamic, time-tested recruiting solution to help you find the well-accomplished talent you need on your midstream team. With extensive hands-on experience in all sectors of oil and gas, and over 30 cumulative years in midstream recruitment, The Newport Group knows how to find the talent you need to stay ahead of the competition, and keep your business running efficiently. 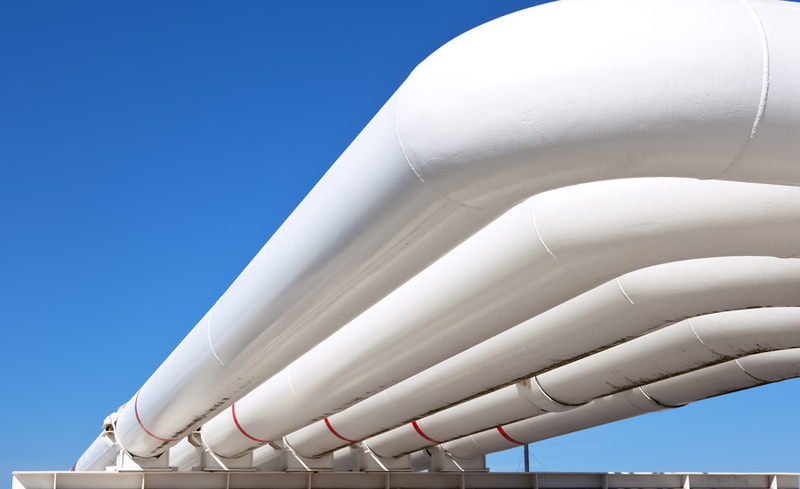 Our midstream oil and gas recruiters are involved in the industry, enabling us to quickly and confidently refer individuals that fit your organization’s strategic and financial goals. We work with you to establish the objectives and specifications of the position, and to understand the character and culture of your organization. This way we have a thorough understanding of what you do and don’t want, and how best to present your opportunity to candidates. Even better, we stay up-to-date on market trends, beyond financial reports, by staying active in the nation’s most pertinent oil and gas associations, including The Association of Energy Service Companies and The American Petroleum Institute, to name a few. As a result, we’re trusted by hundreds of oil & gas enterprises, of all sizes and revenue, to provide the executive and technical talent they need to run their companies and grow their business. Learn more about the roles we’ve helped place for our midstream clients, and the cost-effective executive search program that sets us apart from other executive search firms, The SMART Search Process™ by downloading our digital Midstream Executive Search Overview. Click the button below or the image to download it now. 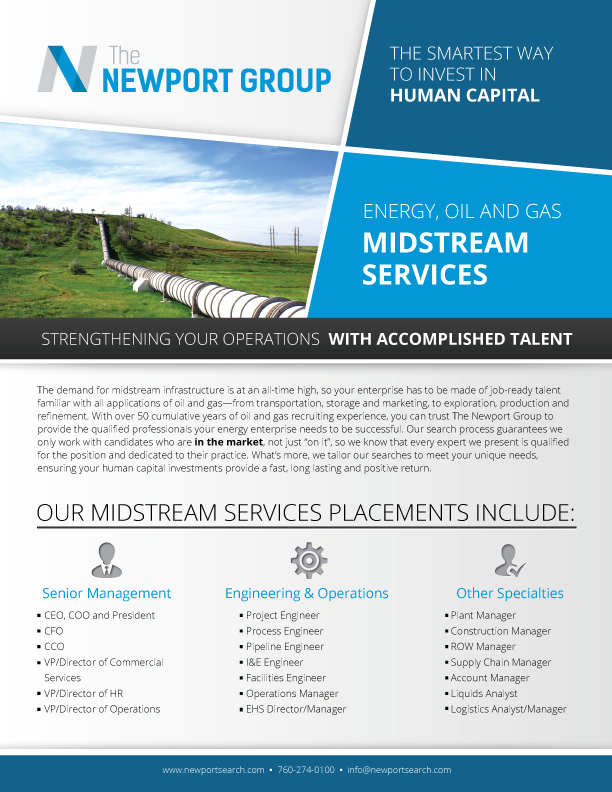 Contact us now to have our Midstream Oil & Gas Recruiters connect you with the right opportunity.